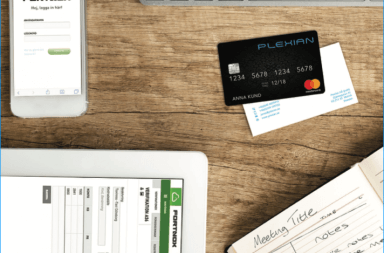 Malmö-based FinTech startup Plexian operates within mobile wallet systems and digital loyalty programmes. Staffan Mattson, Plexian’s CEO, has revealed to Rapidus that the company had recently stepped into their first partnership. The company will sell the underlying technology and targeted customer offeres based on their transaction data to other major loyalty programmes. Through their Visa card and loyalty programme solutions, the company received around 300 000 users. “We use an existing member database and then we add our digital wallet, which is Visa-linked. We do it a little differently, because we work with prepaid cards”, says Staffan Mattson to Rapidus. Prepaid cards are neither an account nor a credit card, but a kind of prepaid card which is replenished, and it is more common in countries with a larger share of people without bank accounts. It should be possible to identify customers and make recommendations in physical retail, as in the same way that online shopping can do with logged in and recurring customers, with the help of Plexian’s cards. The integrity becomes a cracking issue, but Plexian’s CEO does not believe that users will mind sharing their data – as long as they get something out of it. “We are committed to building AI that is not based on personal preferences and characteristics. We do not register anything about gender, age, religion or other characteristics”, he says. In order to start delivering its product during the fourth quarter, the startup has to hire new people and raise new capital, either through a larger issue round or a stock exchange listing during the third quarter. Plexian currently has 17 employees and a number of consultants, but expects to grow to 25 people by the end of 2019.